After the police killings of Alton Sterling and Philando Castile, rapper Killer Mike took to Atlanta's 107.9 radio station and encouraged black people to move their money into black banks across the nation. With a lack of support and protection from the larger institutions, Mike stressed the importance of economic engagement in order to strengthen and build the community. Since his call to action, black owned banks received large influxes of new customers as well as celebrity supporters like Solange, Usher, and Jermaine Dupri. On Monday, Mike posted on Instagram and asked for the billionaire Michael Jordan to deposit funds from his sneaker empire's profit into a black bank. 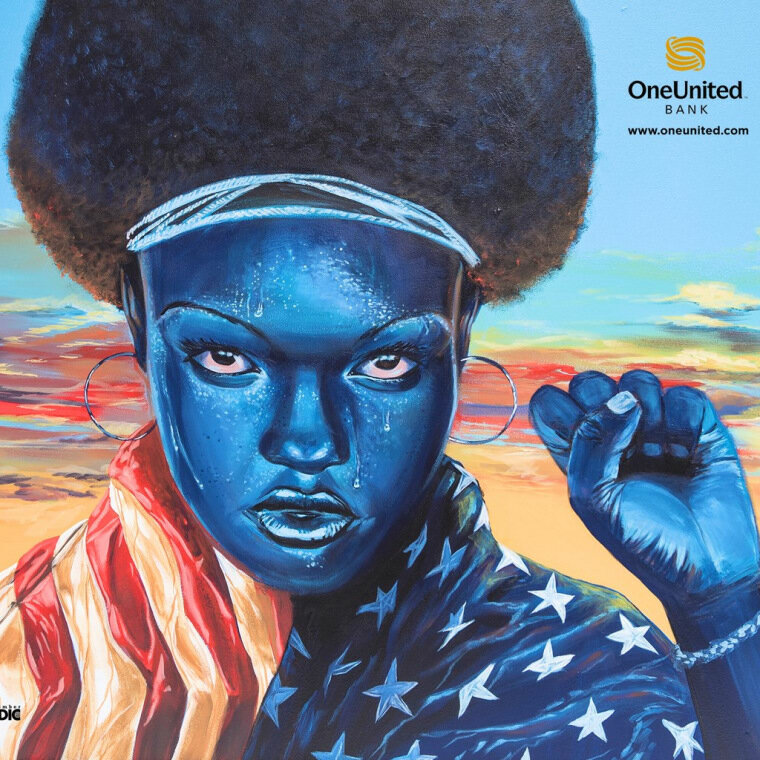 In July, OneUnited Bank in Miami, Florida held a #BlackBankChallenge, where staff, local city officials and CEO, Teri Williams helped to open new accounts. 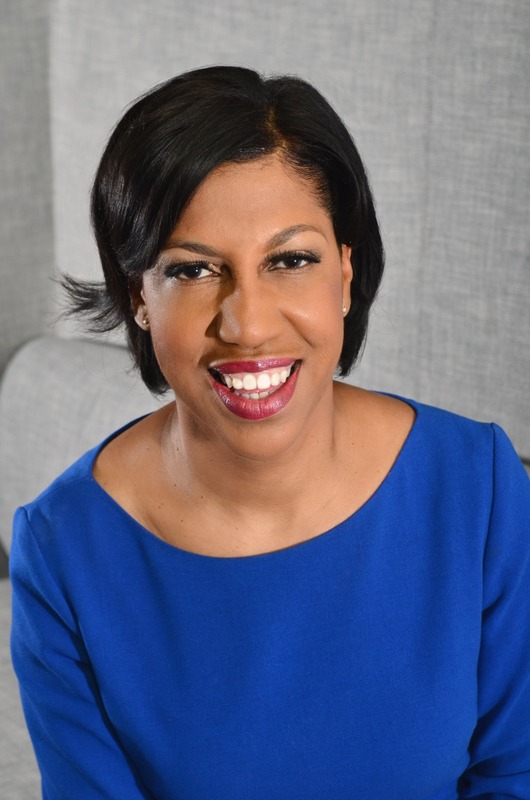 As the largest black bank and the first black bank with online banking, the company has made strides to foster financial growth in the black communities across the country. Williams told The FADER over the phone, "We've been opening about 30 to 50 accounts a day prior to this whole movement. Now we're opening up to 1000 accounts a day." Black people have attempted to boycott Black Friday to redirect the financial focus on the black community, but Williams thinks it worked this time because people have finally gotten "sick and tired of being 'sick and tired.'" Over the phone, Williams spoke with The FADER and broke down how much it costs to open an account at OneUnited, how to dismantle of the misconceptions that black people have about banking black and the power of moving our money but also our mindset. What's the importance of the impact that supporting black banks has historically had on the black community? As far back as Marcus Garvey and in Martin Luther King's last speech, he told the audience to take their money out of the downtown banks and move them to TriState which is the black bank in Memphis. They understood the importance of moving our money to the black owned banks. The reality is these banks, including OneUnited and all of the banks that came before us were created out of the Civil Rights Movement when the majority of the banks were not accepting us as customers. Since then, integration has happened and people may think now we don't "need black banks," but it's actually the opposite. Black banks are more likely to be in black communities for black people and to lend to black people. Those are facts. They're more likely to employ black people and fund black businesses. At our recent Black Bank Challenge, Killer Mike was here for the event and that Sunday we met him at Jackson’s, which is one of the black restaurants in Miami. If you look in the black community, over time, it was employing black people and the majority of people that were working in establishments were black. So if we can support our black owned banks and our black owned businesses, we will employ more of us, we will better serve our needs — and for banks, we will circulate our dollars. If you put $100 dollars in our bank, it's still your $100 dollars. You can still take it out, and put it in. I’ve spoken to people who have some reservations about higher deposit minimums at black banks. What are some of the misconceptions that black people have about moving their money into black owned banks in 2016? It's $100 to start a savings account. If you keep $100 in that savings account you won't get charged any fee, and our interest rates for that saving accounts is higher than what you would get if you walked into a Bank of America. What I would recommend is, you do a direct deposit of, I don't care what it is — five or 10 dollars a week and just let it grow. Make sure it comes out of your bank account before you touch it because if you touch it, you're gonna spend it. We're FDIC insured so your money is safe. We have online and mobile banking so that you can check your accounts every hour. We have direct deposit. You can take a picture of your check with your phone and deposit it. We have 20,000 ATM's surcharge-free across the country so you can get to your money without paying a fee and we can direct you to ATMs in your community that won't charge you for using them. You can transfer money into and from another bank. You can pay other people. We have something called, "PopMoney" where you can pay other people by text. All the technology you get with the large institution we have. You can walk into a branch and come visit us. Getting around misconceptions is a part of "moving our minds," because we tend to think that their ice is colder. What are some ways that people can get free from that mindset? This movement really starts with you. It starts with everyone taking this bank black challenge. If we can get a million people to move $100 dollars then we would've moved $100,000,000. Those are the kinds of numbers we have the power to effect. When we start to recognize our power, and the rest of the world starts to recognize our power. For everyone to say that $100,000,000 we've moved is in FDIC-insured institution, it's earning great rates, we know how to do business with each other; it's kind of like the first step. What you're doing today is going to change our criminal justice system and mass incarceration, and it's going to change the use of our dollars and people taking our dollars for granted. It's going to build wealth and your children and your children's children will understand how to build wealth. We don't have a culture of wealth-building. We're building that and excellence, and we're building our culture to say that, "We're not gonna take people coming into our community and taking advantage of our culture without any retribution, without an attribution." Would you say those are the reasons why the economic autonomy is just as important as the protests against police violence in the Black Lives Matter movement? Absolutely. It goes back to changing our mindset. It's important for us to do business with each other and work with each other. To trust each other is a leap we have to take. There's no other way around it. Engaging with black banks strengthens a bond within the black community and goes against the idea that we don't support one another. That's also something that we have to recognize; that there are other voices in our heads that are telling us that we don't. [Laughs] It's like, you turn on the television and you see these all these fabulous ads of these majority business. People say to us [OneUnited Bank], "Oh, we don't see you on TV." What you see on TV is they're all majority businesses whether it's Red Lobster, or it's Houstons or all of these places in a lot of cases, foods that originated from our community, saying how you can come and have the festive occasion. Then right around the corner, the black restaurants, who have the original recipe, we just don't see them. We're not purposely not going to them. Other ethnicities, they're already connected and this is second nature for them. We have to become connected, we have to do business with each other. We have to change our mindset. We're going to support one another. We're going to change our mind to say, waiting for ten minutes at Jackson's is not the worst thing in the world. It became a community gathering. People go to our social media page and what they will see is total positivity about black folks. As people continue to invest in black banks how does that directly service black people in the community? We see this as not just about moving your money, we see it to be about moving your mind. Even though it's a "bank black challenge," and we're asking everyone to put $100 dollars, and to tell their friends, and spread the word — we're actually trying to move the mindset of black Americans. We need to focus on our money, to start recognizing that it can be used purposefully, and that we can and should be channeling our 1.2 trillion dollars in spending power into our community for good. I always explain that our dollars circulate in our communities for only like six hours. We get paid, we get a haircut or our hair done. I don't know if that's the case for everyone, but my guess is biggest dollar we circulate through our communities is our black hair salons and barbershops, and also church. And all of the rest of dollar is going somewhere else. You can imagine, a country where 98% of their dollar is spent somewhere else — you can imagine that that would be a very poor country, and we need to think, how can we get more dollars into black-owned banks, black-owned businesses, not organizations that support the black community. How can allies of blacks do the same so we can create jobs in our community, and create wealth in our community? Now, that the movement has started, how can we stay economically engaged in building black wealth? It always seems like when we start something there's always some negativity thrown into it. This is all positive. A savings account, $100 dollars, you can do it in 10 minutes. There are people that are stuck in that negative space and we need to help them become positive. We [the banks and supporters] just have to continue. It’s about moving our money, moving our minds and it has to continue. We're going to do everything we can to make sure it does. We have to create "ambassadors" or virtual branches and people in communities around the country that are talking about this. We are getting new customers from all across the country and we're in L.A., Boston, and Miami, but now big places like New York, D.C., Houston, Chicago, and Dallas. Each of those who are now members we have to get them to spread the word. Yes, the first step to this revolution it is about moving your money, but it has to go beyond that. We really have to start thinking about moving our minds and thinking about, "How am I spending my money. Where am I engaged in the black community? Am I buying black books? Is my plumber black?" Just think about it. If you ask around, people will be able to refer you to our businesses. That's how we have to keep this going. We have to create these ambassadors, create these leaders. It really is leadership. The people who should be pushing these black bank challenges that we've been having are the millennials. They called the shots and said, "Hey, we want to have a meeting. We want to bring our friends to your banks," and in honor of them, being pushed by them, led by them, and celebrated by them we put these events together. As an institution, we get it and we totally respect the next generation. You guys got it going on and we provide the resources and paid for it, but it's really your energy that is moving us forward.